We regret to inform you that this show has been cancelled due to touring work commitments. 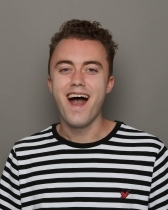 After winning the Leicester Mercury Comedian of the Year in 2016, Tom Lucy has gone on to support Jack Whitehall on his recent arena tour and sold out his entire run at the Edinburgh Fringe in 2017. Join Tom as he debuts his brand-new hour of stand up.